Monterey County's only studio dedicated exclusively to body piercing and the highest quality body jewelry. 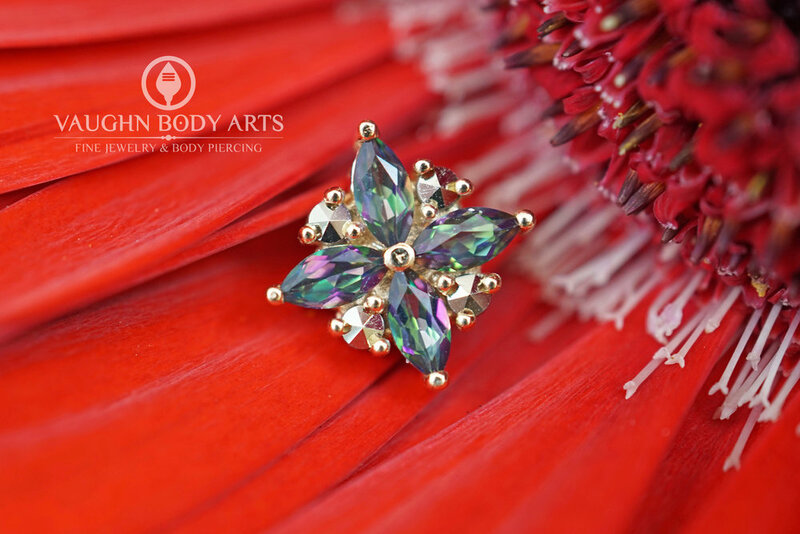 Offering only the highest quality body jewelry made in the world. Vaughn Body Arts offers the largest selection in Monterey County of fine jewelry made from implant grade titanium, implant grade steel, gold, glass and organic materials from manufacturers such as Anatometal, Industrial Strength, NeoMetal, Body Vision Los Angeles, Intrinsic, Maya Jewelry, Diablo Organics, Gorilla Glass, and many more. 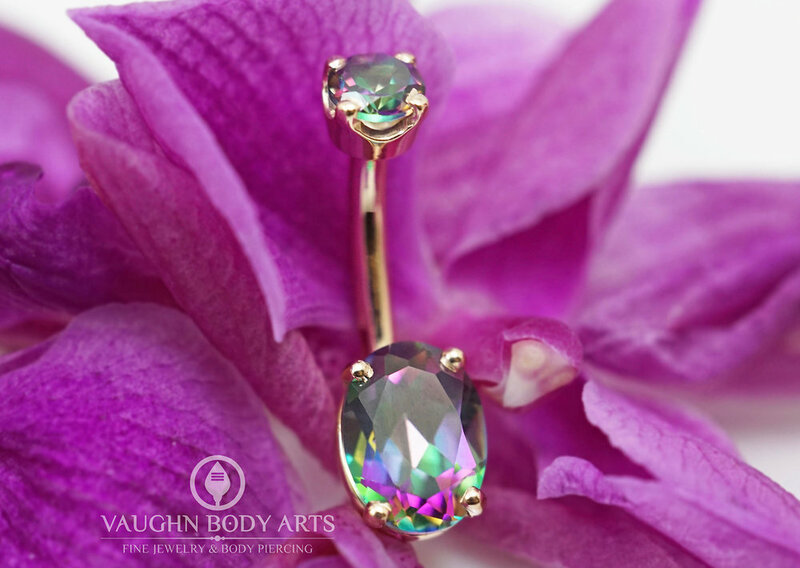 Visit us for your next piercing or new piece of body jewelry! We offer a wide variety of beautiful pieces in the studio, with new options coming in almost every day. If there's something in particular you're hoping for - wether it's a different gemstone combination, color or karat of gold, or something completely unique - we can custom order it for you! The sky is the limit!